On here you'll find a few links to people and organisations who I have had dealings with and can therefore vouch for their reliability and quality of personal service provision. Helping UK Veterans with psychological injuries rebuild their lives. Each year, a small but significant number of Veterans leave the Armed Forces suffering from mental ill-health, the symptoms of which can manifest themselves while in service, soon after or many years later. Symptoms can include depression, anxiety and, in some cases, Post Traumatic Stress Disorder (PTSD). Combat Stress may be able to help - Contact them for help and advice etc. Founded after the First World War, our work is as vital today as it was in 1919. We have a caseload of over 5,400 Veterans, including 662 who have served in Afghanistan. INTERESTED IN LEARNING FLY FISHING? 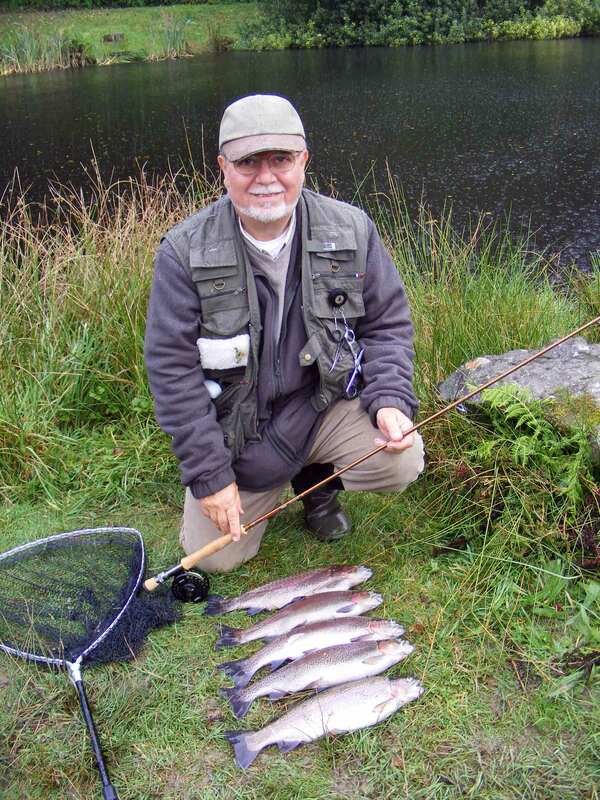 a Fly-fishing course in the capable hands of a professional Instructor. You don't need any fly fishing gear as it's all provided for you. Whether you are a complete beginner or with some experience, you're sure to benefit and have a lovely time in the process. You learn at your own pace as there's no pressure on you and best of all, it won't cost you a penny! As a veteran myself, who suffers from physical and mental health issues (Type two (repeated trauma) Complex PTSD with acute co-morbid Depressions), I was fortunate enough to have been given the opportunity to attend a first class Fly Fishing course organised for me by 'Fishing for Heroes'. It was the best thing I did in years - a totally fulfilling and memorable experience!!! I was in good caring hands from the outset. I already had some fly fishing experience, albeit self taught. Tom Hill (RIP), one of the original founders, was my one-to-one instructor. He took me back to basics and not only corrected my painful and iffy casting faults, but he also conveyed to me a whole lot of wisdom/experienced based on practical know-how gained through years of fly fishing and instructing at all levels. The result is that Tom helped me to become a more proficient caster and I hurt considerably less and thus can fish for longer than I used to. I can even cast nearly as well sitting down, which I sometimes have to resort to. The proof of the pudding is in the eating and as you can see from the adjoining photo, I attained a good result towards the end of the course and more importantly, I gained a fair sense of self worth. 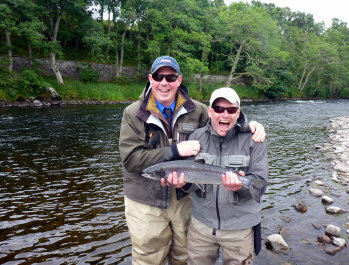 Fishing for Heroes provides fully subsidised fly fishing courses on the basis of the proven therapeutic value Fly fishing provides. Fishing for Heroes does not discriminate as to which conflict a veteran ended up with mental health issues from! While PTSD is prominent, combat fatigue, and/or other emotional and psychological problems relating to having been involved in active service can take their toll as well. No matter the mental health issues involved, and in some cases associated physical limitations, you will be made most welcome. Once you go through the course, you will have the opportunity to attend Regional Fly Fishing days, when only Veterans like yourself attend such fly fishing days, so you will be in good company. There are even more fly fishing opportunities, but these you can attend at your discretion. accepts and provides help to all veterans from all wars and conflicts. I've had the pleasure of fishing at a 'Fishing for Heroes' fundraising competition on Saturday 13th September 2014. The fishery it was held at is Thrunton Long Crag, in Northumberland. The fishery is set in a lovely part of rugged countryside and is easily accessible just off the A697. 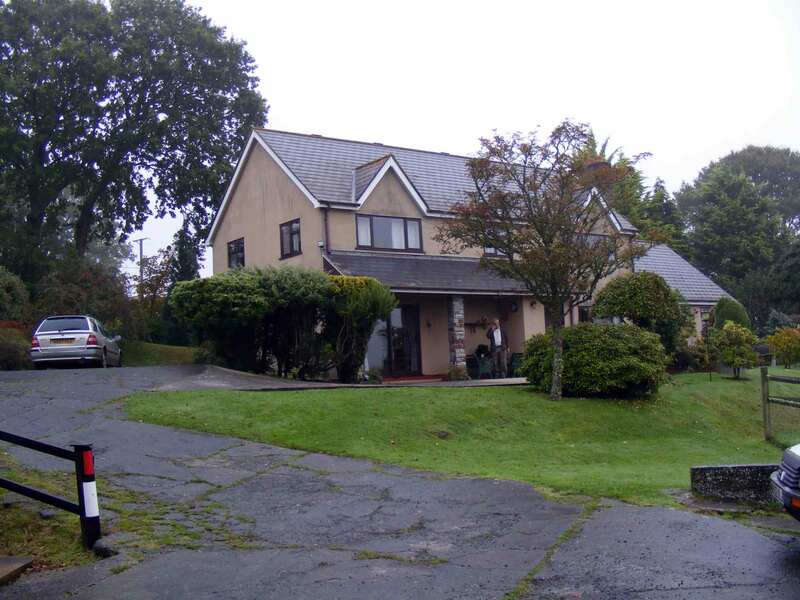 It's literally a couple of hundred meters off the A697 and is well signed. The fishery consist of two Lakes that are stocked with 'Triploid' type Trout, that average 2.5lbs with a good number of bigger ones to give you the fishing experience of your life! Neither lake is too big as to be intimidating, but big enough to have well spaced stands where one can fishing in comfort and not having to worry about crossing lines with anyone. There are also some swims that are suitable for the Disabled. It's worth bearing in mind that lack of personal transport is not an issue as there's always a fellow Veteran who will pick you up on the day. The beauty with Fly Fishing is that the tackle you need is very simple and light and there are no baits involved to stock up with. This is where I stayed for the duration of my 'Fishing for Heroes' Fly Fishing course. A working farm in the past, Venbridge Farm is now a very nice B&B owned and run by Anne and John - two of the nicest people you'd ever want to meet. I felt as if I was part of the family. I heartily recommend Venbridge Farm to anyone who wants to get away from the hustle and bustle and enjoy the reinvigorating idyllic and tranquil countryside at it best. Check Anne's and John's website - you'll not be disappointed, trust me! When only the best will do, then Ian is your man! I, along with three other Veterans, where invited to fish the River Devron near Banff. As luck would have it, we had Ian teach and guide us over a couple of days which was very enlightening and fun as Ian doesn't stand on ceremony. There's is always something new to learn, especially with someone like Ian, whose approach is quite informal and wholly enjoyable. Enjoy a unique experience in the wild and stunning environment of the Scottish Highlands. Backcountry Survival � 57.3293� N 3.6088� W � the furthest North Survival school in Britain provides tailored courses and packages in wilderness survival techniques..
helpful to people with disabilities. I am grateful for Sarah Brian for providing me with the above documents. Wighill Park Guns is a leading supplier of air guns and accessories, both online and from our shop in North Yorkshire. We are here to help you choose the air rifles, pistols and accessories to suit your budget and your activity. If you want to shoot vermin and pests to protect your crops or vegetable garden - or perhaps shoot rabbit and pigeon for food - we help you choose air rifles, rifle scopes, lamps and camouflage clothing. We help you make sure your shooting is legal. If you and your family enjoy 'plinking' together - shooting targets for fun - we have reasonably priced air guns, pellets and targets for you and we give you tips for safe shooting. If you want to shoot competitively, we'll help you buy the right kit and introduce you to the fast-growing sport of field target shooting - where old and young can compete together and enjoy their sport at many levels. At Wighill Park Guns, our help doesn't stop when you leave the shop - our after-sales service is just as friendly and knowledgeable. Please note that I have no connection with Wighill Park Guns other than having bought items from them and they impressed me with their efficiency and customer care. I've put this link on here because Mike of Carter Crafts was kind enough to allow me to use some of his Website content. People like Mike who are generous in thought and deed deserve to be recognized and supported unreservedly.